The definitive account of golfs founding father and son, Old and Young Tom Morris. For the first time, the two are portrayed as men of flesh and blood heroic but also ambitious, loving but sometimes confused and angry. 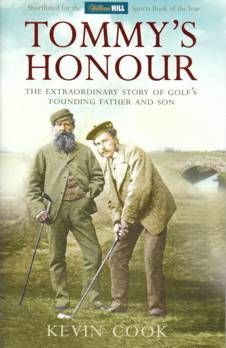 Two men from one household, with ambitions that made them devoted partners as well as ardent foes.Tommy's Honour is a compelling story of the two Tom Morrises, father and son, both supremely talented golfers but utterly different, constituting a record-breaking golfing dynasty that has never been known before or since.